Summary: Eliminate off-putting urine smells in urinals and toilet bowls by using the CLOROX URINE REMOVER. Choose your most offensive-smelling facility, and sign up for a FREE trial! Click for more. We are offering a FREE demo to show you how it works! Email here for enquiries, or call (08) 8398 2872. 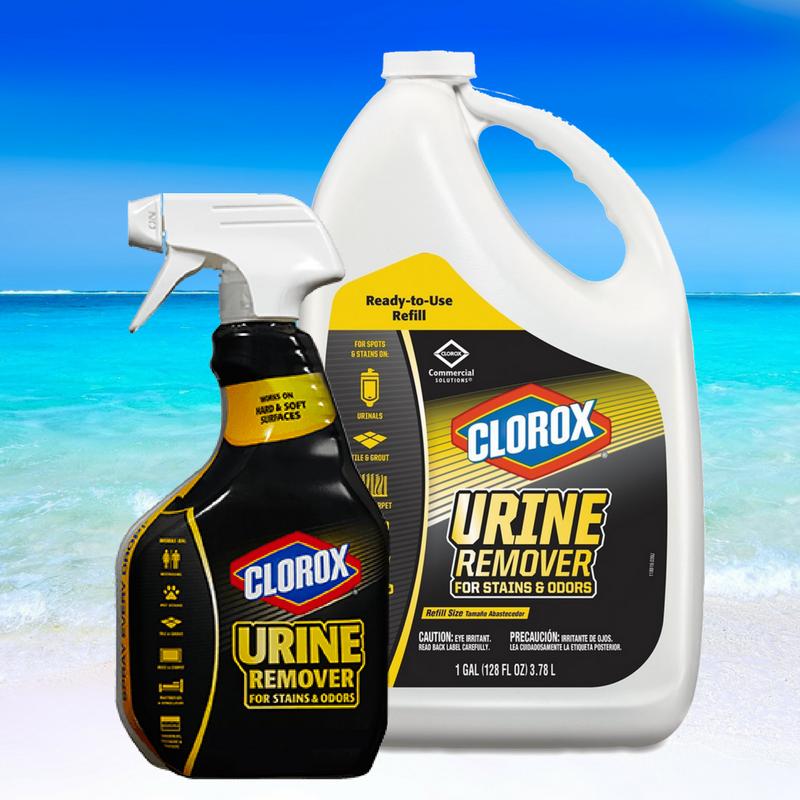 Introducing the Clorox® Urine Remover! It breaks down urine to eliminate odors, and removes stains with the cleaning power of hydrogen peroxide (H2O2). But what makes this different from any other H2O2-based disinfectants? Clorox® Urine Remover is designed to be SAFE for use on fibres and soft surfaces such as carpet, upholstered furniture, mattresses, and bed linens. It is also especially designed to eliminate and remove urine odors & stains. But will it work on other types of stains and soils? Yes! Clorox® Urine Remover is perfect for organic (protein-based) stains. Protein-based stains include human stains such as blood, vomit, faeces, and even great for pet stains! It could also be used as a pre-treatment step on sheets, pillowcases, towels, and linens prior to a normal laundry wash. The pre-treatment step will boost the removal of food stains such as gravy, spaghetti sauce, red wine, and chocolate syrup during laundering. Buy Clorox® Urine Remover by calling us at (08) 8398 2872 or emailing sales@pak-rite.com.au.